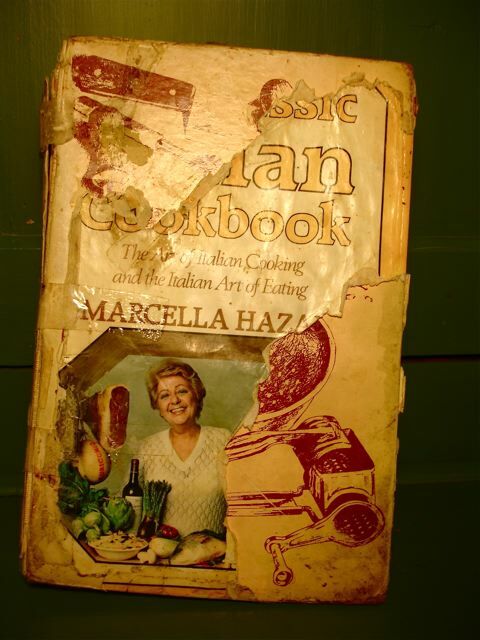 This recipe is from one of Marcella Hazan’s inspirational cookbooks. 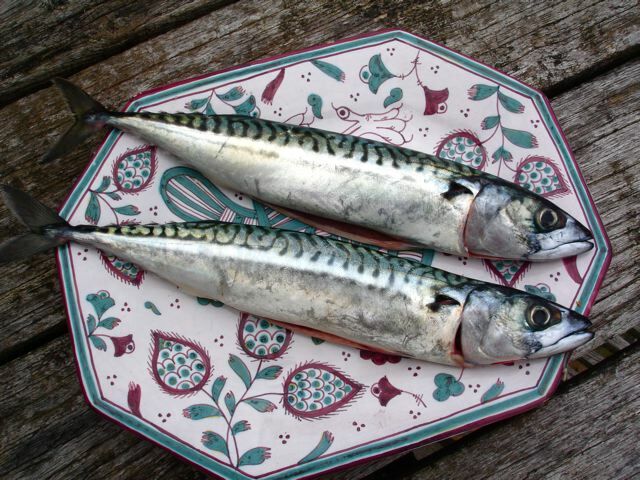 To be worthwhile mackerel has to be fresh—nice clear eyes and firm to the touch. These fitted the bill at the market this morning– and were only four euros for the pair! 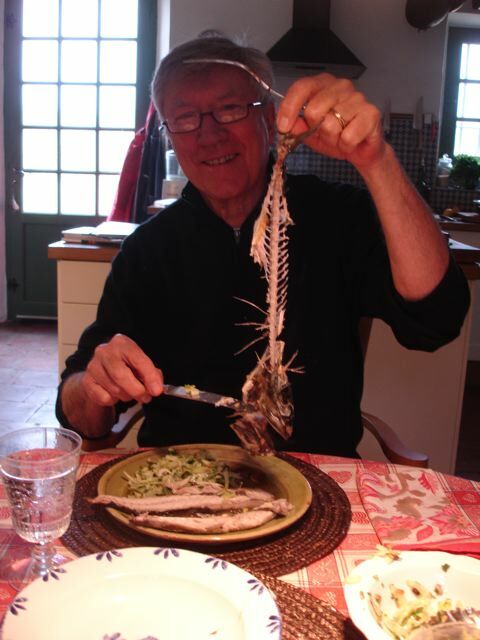 I cooked them whole in olive oil flavoured with rosemary and garlic—good strong tasting elements to match the richness of the fish. 2. Heat the oil in a large sauté pan and fry the garlic cloves until they begin to colour. 3. 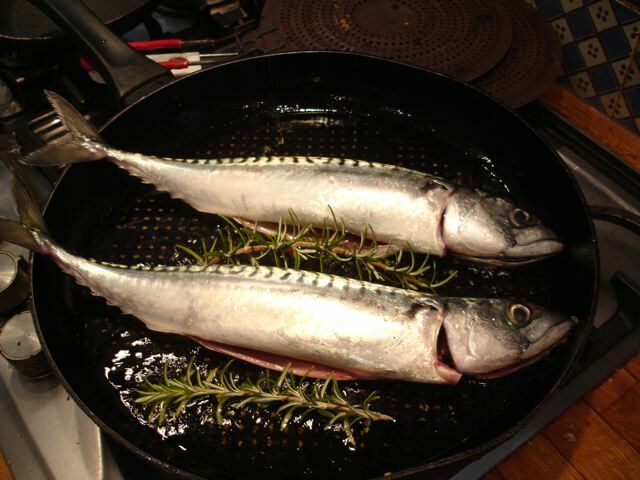 Add the fish with the rosemary and brown gently on both sides. 4. 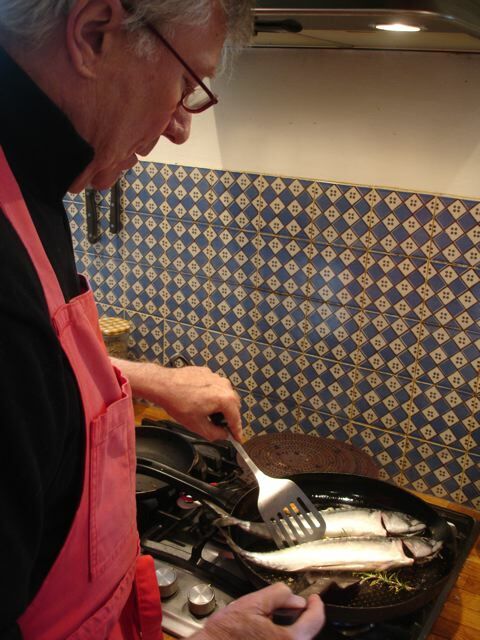 Cover and cook for about 15 minutes—checking for doneness by carefully lifting the flap of the cleaned belly–if it looks pink continue cooking a couple of minutes more. 5. 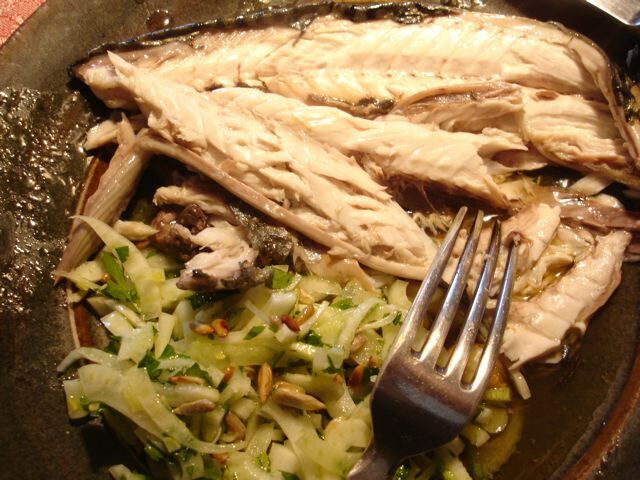 Carefully lift the mackerel out of the pan and lay them on the waiting plates. 6. Spoon over the juices and watch out for the bones! Meredith has told us about your book.I have had a quick look at the site and love the recipes you have kindly put there. I know several people who will find the book useful so will pass on the url – and hopefully some book sales will follow ! I’m enjoying doing the blog no end!